Program.cs(12,20,12,21): error CS8341: Auto-implemented instance properties in readonly structs must be readonly. Program.cs(13,20,13,21): error CS8341: Auto-implemented instance properties in readonly structs must be readonly. But not for the better. 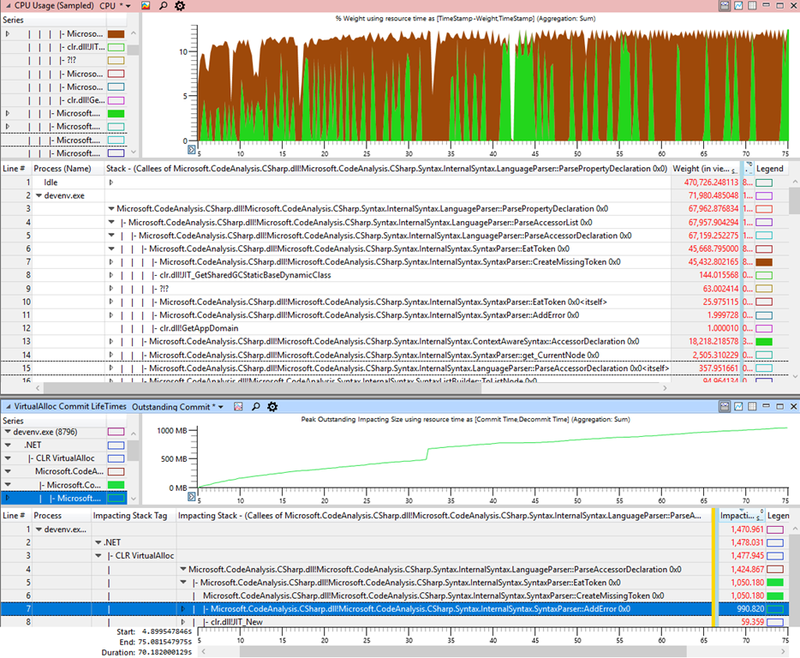 VS eats up all the memory and if you try to compile it will transfer the leak into PerfWatson2.exe as well. Ok that was not it. The final solution was to remove the setter completely. Interestingly you can still set the property although it has no declared setter. This seems to be a C# 6 feature I was until now not aware of. Problem solved. But wait what was the ever increasing memory of the compiler? which will hopefully be fixed. The error message is ok in hindsight but it did confuse me the first time. If you want to play with the newest C# features you need to open the build properties tab, press Advanced and then you can select the e.g. 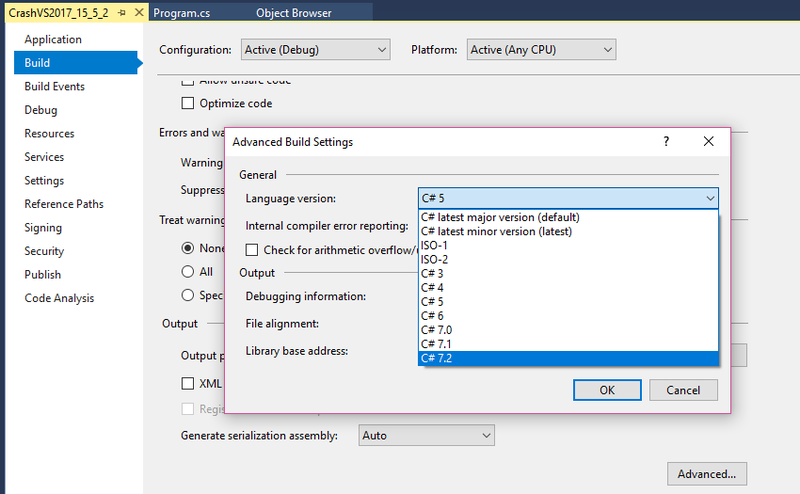 C# latest minor version to always use the latest C# version. Lets hope you are not hitting new memory leaks as fast as I did.